On July 1, Lily and Matt Smith attended the Audi Polo Challenge in Ascot, England. The gallery has been updated with high quality pictures so make sure to check them out! PLAYBILL – Golden Globe-winning actor Gillian Anderson (The Fall, The X-Files) has signed on to star as Margo Channing in the Ivo van Hove-helmed stage adaptation of All About Eve in London, according to journalist Baz Bamigboye of the Daily Mail. 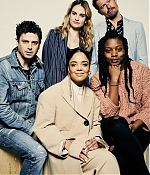 Last seen on the London stage as Blanche DuBois in the Young Vic revival of A Streetcar Named Desire, she replaces the previously tapped Cate Blanchett, who withdrew from the production earlier this year due to a scheduling conflict. 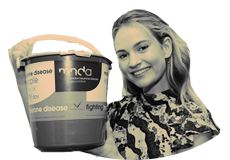 Joining Anderson as Eve Harrington will be Cinderella star Lily James, soon to be seen as a young Meryl Streep in the upcoming film sequel Mamma Mia! Here We Go Again. Performances will reportedly begin in February 2019 at the Noel Coward Theatre in London. Sonia Friedman Productions and Fox Stage Productions are attached. The Oscar-winning 1950 film All About Eve was written and directed by Joseph L. Mankiewicz, based on the short story The Wisdom of Eve by Mary Orr. The movie starred Bette Davis as Channing, the prominent yet aging Broadway star, and Anne Baxter as Eve Harrington, a willingly helpful young fan who insinuates herself into Channing’s life. The film was nominated for 14 Academy Awards and won six, including Best Picture. 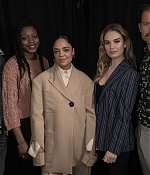 Lily was spotted at the Tribeca Film Festival this weekend to attend the premiere of ‘Little Woods’ alongside co-stars Tessa Thompson, James Badge Dale and director Nia DaCosta. High quality pictures from the red carpet and portraits have been added to the gallery! Support Red Nose Day USA and Best Friends Animal Society and go to the London premiere of ‘Mamma Mia! Here We Go Again’ to meet the cast. OMAZE – You’re going to dance, jive and have the time of your life at the premiere of Mamma Mia! Here We Go Again. Pack your favorite pair of overalls, because you and a friend are off to London to hang with the cast and see the highly anticipated sequel before anyone else. First, your very own hair and makeup squad will get you red carpet ready. Then, you’ll share a celebratory toast with Amanda Seyfried, Lily James, Dominic Cooper and more of the cast. (We can’t promise Meryl will be there, but our fingers AND toes are crossed for you.) After that, you’ll catch the premiere with writer Richard Curtis, hopefully dance in the aisles, and meet up with Pierce Brosnan and Colin Firth. One more thing: You also score tickets to Mamma Mia! the musical. The winner—you—takes it all! Flights and hotel included. 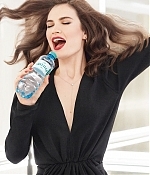 Lily is the face of Austrian mineral water company Vöslauer since 2017 and for this new year, they revealed another tv spot. Make sure to check the gallery for production stills and watch the video below. She looks amazing! THE HOLLYWHOOD REPORTER – Lily James, who appeared in Baby Driver and Darkest Hour, is in negotiations to star in Danny Boyle’s untitled comedy for Universal and Working Title. The actress is the first castmember to board the project, whose details are being kept under lock and key, but it is known to be musically themed and set in the 1960s or ’70s. It is understood that the role, a teacher, calls for her to sing. Working Title’s Tim Bevan and Eric Fellner will produce alongside Matt Wilkinson and Bernie Bellew. Curtis and Boyle will also produce.